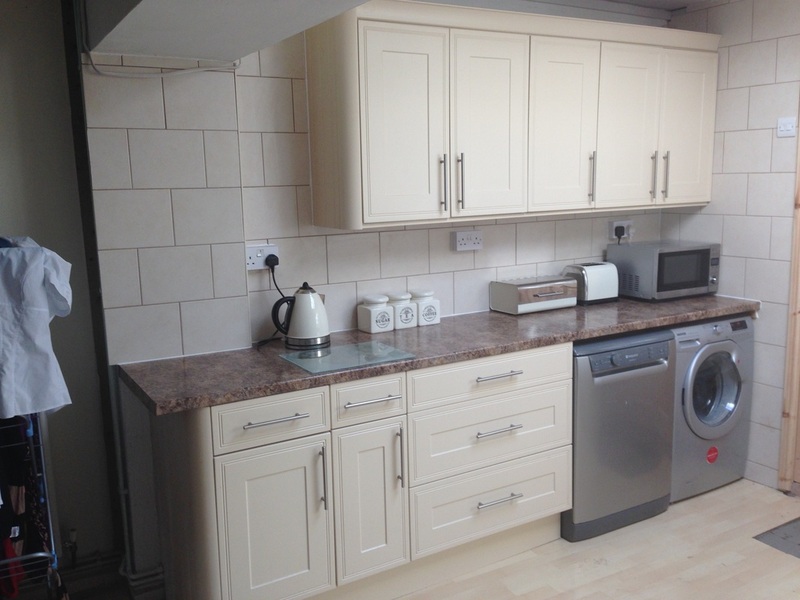 A potential new customer in Hanham wanted to give her existing kitchen a breath of fresh air but without spending too much. We devised a solution were we would reuse the cupboard and drawer fronts but replace all of the carcasses (as they were falling apart). 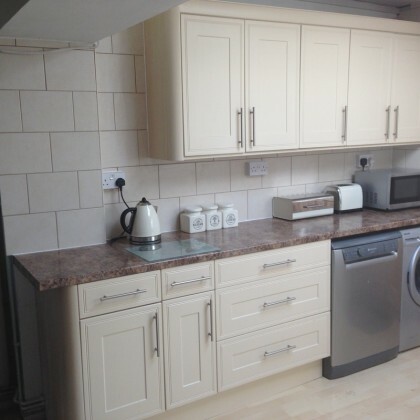 Our suggestion was accepted and with the addition of new work tops, sink and tiles, we were able to give the customer what they wanted at a price they could afford. If you need this type of building work completed, do please get in touch and we can suggest ways of getting the job finished to a budget you can afford. Whatever your building requirements, why not give us a call today to request your free quote? Bristol, Bath, Almonsbury, Yate, Alveston, Avonmouth, Axbridge, Backwell, Bath, Bedminster, Bishopsworth, Blagdon, Blaize Hamlet, Box, Brentry, Brislington, Caldicot, Central Bristol, Chedder, Chepstow, Cheswich, Chipping Sodbury, Cleeve, Clevedon, Clifton, Coleford, Combe Dingle, Cotham, Dundry, Dursley, Eastville, Emersons Green, Felton, Filton, Fishponds, Gloucestershire, Henlease, Hotwells, Keynsham, Kingswood, Mangotsfield, Midsomer Norton, Nailsea, Newport, Patchway, Pensford, Pilning, Portishead, Radstock, Redland, Saltford, Severn Beach, Staple Hill, Stoke Bishop, Taunton, Thornbury, Trowbridge, Westbury Park, Weston Super Mare, Whitchurch, Wick, Willsbridge and Yatton. Lennon & Son do cover many other areas, please call us if your area is not listed and we will be more than happy to help you.